The first article of the year is a guest post by Millie Baltimore. I'm happy to have this advise up here. Any other contributors are always welcome to sent over their articles to be published. The masterful trilogy that is the Lord of the Rings saga is hardly the ultimate fantasy work, but for parents looking to introduce their children into this magnificent fantasy realm, the reading material may seem too advanced for a child. How is it possible to find a means of making a child interested in such a large book? Especially in modern times, children are reading less and less. The age that is right for getting your child into Tolkien's masterpieces depends on the child, but instilling a love of reading within a young child is the first step in convincing a child to read. If you are unsure if your child will even be interested by one of Tolkien's books, try reading it aloud to the child before bedtime. If the child is obviously entertained, but they are still quite young for reading a book as long as The Hobbit, or Lord of the Rings, go ahead and put the book away for as long as it takes. From personal experiences, I can say that a child can be ready to begin reading the Lord of the Ring's trilogy or the Hobbit as early as ten years old. Tolkien was a masterful author, but his lengthy stories can grow tiresome for children. If you notice that their attention to the novel has begun to slip, and they have not picked up the book in a few days, try introducing them to an activity pertaining to the book. Start a discussion with your children about where they are currently in the story. Create riddles that can be solved by a child and role play as Gollum, allowing your children to answer the riddles. Hobbits love to eat, and so do children. Show your kids what an 'authentic' hobbit meal would look, smell and taste like by creating one. Some hobbit favorites include salads, pickles, pork pies, tea, raspberry jam, apple pie, and mince pies. There are dozens of other foods hobbits enjoy, so this is an especially easy activity to complete. Ask your children to create a large poster or diorama in which they create the art piece as they are following Bilbo's or Frodo's adventure through Middle-Earth, depending on which novel is being read. If you want to improve your child's reading comprehension while they read through Tolkien's books, devise some quizzes for the child to complete. 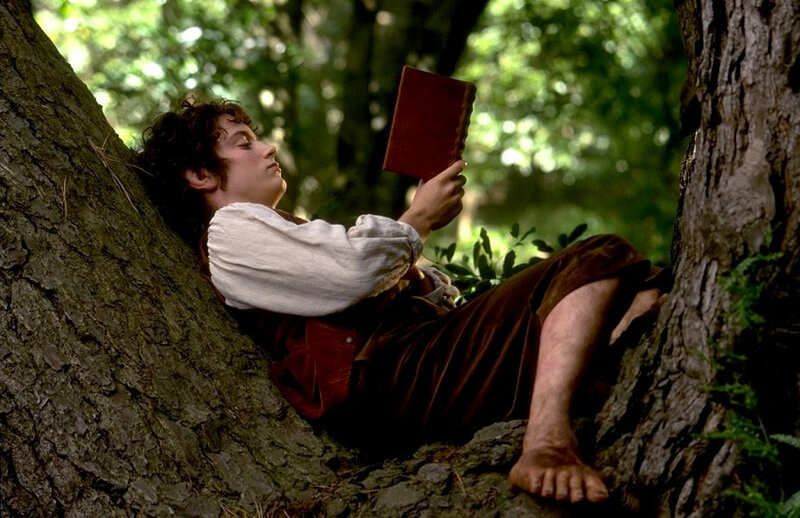 Questions such as, “What is Bilbo's job given to him in the Hobbit?” which are not overly challenging but will allow you to be sure that the child is actually reading the book. One excellent activity that can be done all throughout the reading of either Lord of the Rings or The Hobbit is drawing a map. The hero's path is drawn out, as well as the different kingdoms such as Rohan, Gondor, and the Mistpeak Mountains. There is plenty of reading material for JRR Tolkien fans to consume, but some of these books are less appropriate for children. This is not because there is unsuitable content, but simply because some of the books are very complex stories which may disinterest a child. The Hobbit, and the Lord of the Rings are both excellent options for a child to try to begin reading. 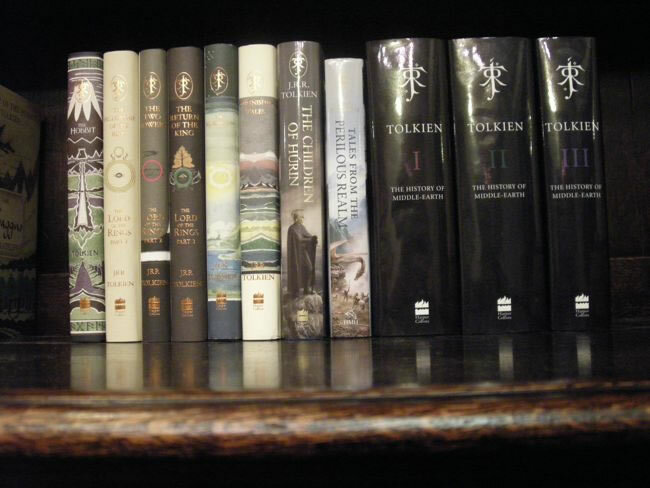 Though The Hobbit comes before Lord of the Rings, chronologically, the two stories are separate entities, enough so that a child could read the Lord of the Rings trilogy before The Hobbit. A child leaving elementary school is at the prime time within his own young life where either The Hobbit, or Lord of the Rings makes for a fantastic and consuming adventure. If you are an avid reader yourself, and you are desperate to infect your children with that same love of reading, Tolkien's works are an excellent tool. Anytime between the age of nine and thirteen is a great time to begin the Middle Earth saga. Who knows, Lord of the Rings may convince one of your children to start attending creative writing schools later in life.